The rapid advance of the Central Powers to Moldavia forced the Russian Empire out of its lethargy and it started to come more and more vigorously to the aid of the beleaguered Romanian troops. The outcome of the Battle of Bucharest forced the Romanian army to withdraw to Moldavia in order to stabilize the front line. One final desperate attempt to stop the German troops near Ploieşti ended once more in failure. The Romanian army was too weak to be able to stop the advance of the German troops. So, the leadership of the Romanian army decided on a direct withdrawal on the Râmnicu Sărat line and to ask the Russians for help. “Our troops are very tired and will not be able to resist […] against the German troops […] which are better equipped […] and with better morale […]. The situation is critical and it concerns not only our fate but also the fate of the whole war for Russia”. The advance of the powerful German and Austro-Hungarian forces to Moldavia turned this region of Romania into the southern flank of the Russian front. Under these circumstances, STAVKA had no alternative but to send reinforcements. The delay with which Russia responded was interpreted by many Romanians as deliberate, as Russian general Alekseev believed that the Siret line was “the best line of defence” as he had told the head of the French Military Mission in Romania, General Henri Berthelot. The Fourth Corps of General Aliyev received massive reinforcements turning it into the Fourth Russian Army. More than 10 Russian infantry and cavalry divisions headed for the defensive line at Râmnicu Sărat and overall command was taken over by General Ragoza. To the north, three corps of Russian cavalry units came to the support of the Second Romanian Army. In Bukovina, the Russian Ninth Army began to cover an important part of Moldavia’s Carpathian border. At the end of 1916, over 30 divisions were engaged in one way or another on the Romanian front. In spite of these powerful Russian reinforcements, the Germans managed to occupy, after fierce fighting, both Râmnicu Sărat and Focșani. The situation became more and more desperate for the Romanians, who were increasingly asking themselves whether their ally, in this case the Russians, really wanted to defend Moldavia. The front would eventually stabilize on the Siret line. Although it hesitated to intervene vigorously when Romania entered the war, Russia now had more than 36 infantry and 11 cavalry divisions in Moldavia, representing 23% and 37% of its forces on the entire eastern front, that stretched from the Baltic to the Black Sea. As a consequence, the Russian army was not able to carry offensive actions elsewhere as it lacked sufficient manpower. 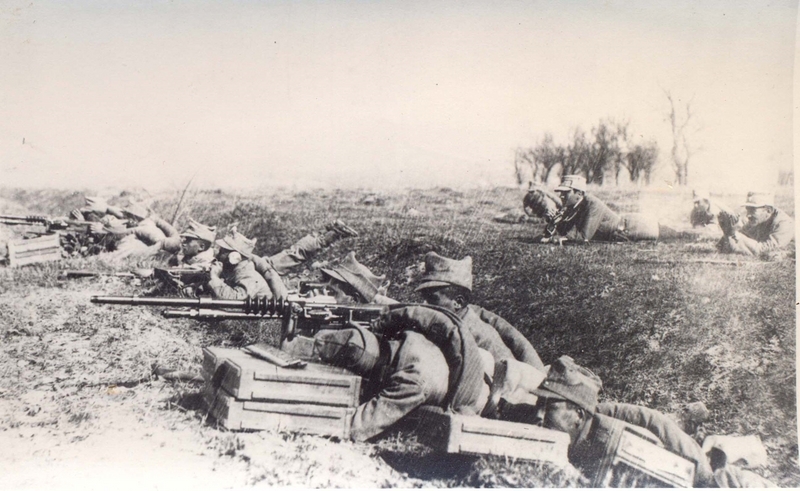 Following the defeat in the 1916 campaign, the Romanian army entered a process of reorganization and endowment with modern weapons. The Russian high command proposed that the reconstruction of the Romanian divisions that were not on the front line should be done in the southern Danube between the Dniester and the Bug. STAVKA claimed that Moldavia was full of refugees and that the quantities of food and fuel were not enough for the nearly one million Russian soldiers. The head of the French Military Mission in Romania, General Henri Berthelot and Queen Marie of Romania strongly opposed such an idea. They argued that leaving the country would destroy the morale of the army, and that the soldiers would be forced to march hundreds of kilometres, which was almost impossible. These arguments, plus the fact that the evacuation would certainly diminish French influence in Romania, attracted in Paris strong support for Berthelot’s position. Even after the reorganization of the Romanian Army in Moldavia, the Russians continued to press in this direction, causing much anxiety for the Romanian decision-makers. With the onset of the Russian Revolution and the ensuing upheavals, the idea of ​​evacuation was abandoned.